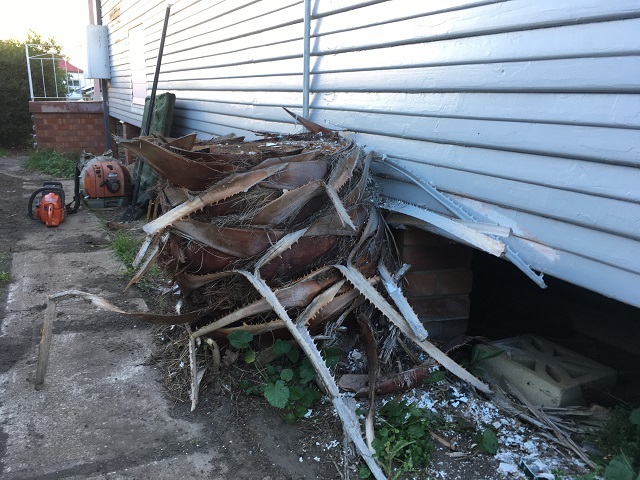 This palm tree had grown was so big it was causing damage to the supporting brick piers of this Cessnock residential property. Removal of this tree stump required a highly experienced stump grinding expert due to the close proximity to the house and the concrete path where the stump was located. 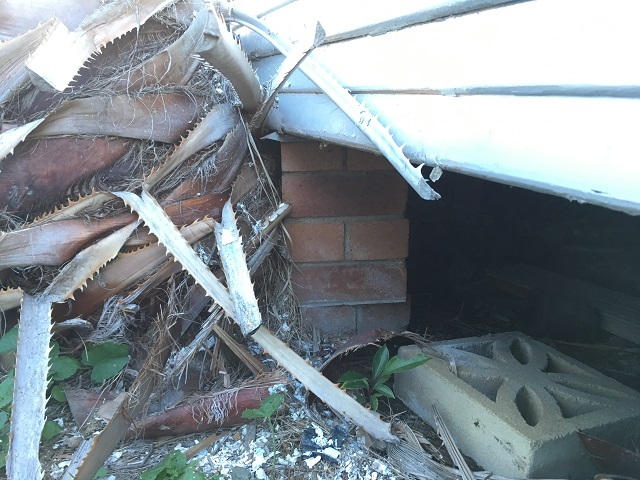 The main priority was to remove the palm tree stump without causing damage to the house, the concrete path or the stump grinding machinery. Stump to be removed without causing damage to house or concrete path. In this instance, I opted for the use of our smallest stump grinding machine because of it’s size and the ability to see the machine cutting away the timber (for a hard wood) or in this case palm (soft wood). It allowed me the ability to completely remove most of the palm stump from not the only the brick pier but also between that and the concrete path. This machine was suitable for this job as I could be very delicate and hands on so to speak in regards to the use of it. The job was completed without causing any damage to the house, path and machine. 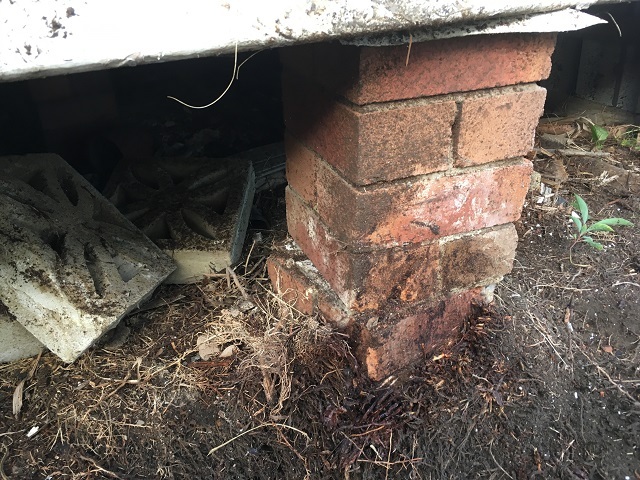 The property owners now have access to the brick piers supporting the house which can now be repaired, and as always, we perform a thorough sweep and clean up, no matter how big or small the job.